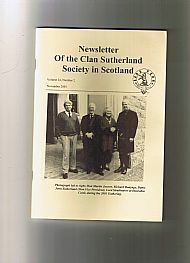 Please use the links below to order or renew your membership or if you wish to make a donation for the Society's work or to purchase back issues of the Clan Sutherland Magazine. Annual Single Membership runs for one year and is currently £15 for those living in the UK. Annual Single Membership runs for one year and is currently £20 for those living outside the UK. Annual Junior Membership, available to anyone under 18 years of age on joining or subsequent anniversary, runs for one year and is currently £10 for those living in the UK. Annual Junior Membership, available to anyone under 18 years of age on joining or subsequent anniversary, runs for one year and is currently £12 for those living outside the UK. Annual Family Membership (2 or more people living at the same address) runs for one year and is currently £22 for those living in the UK. Annual Family Membership (2 or more people living at the same address) runs for one year and is currently £28 for those living outside the UK. 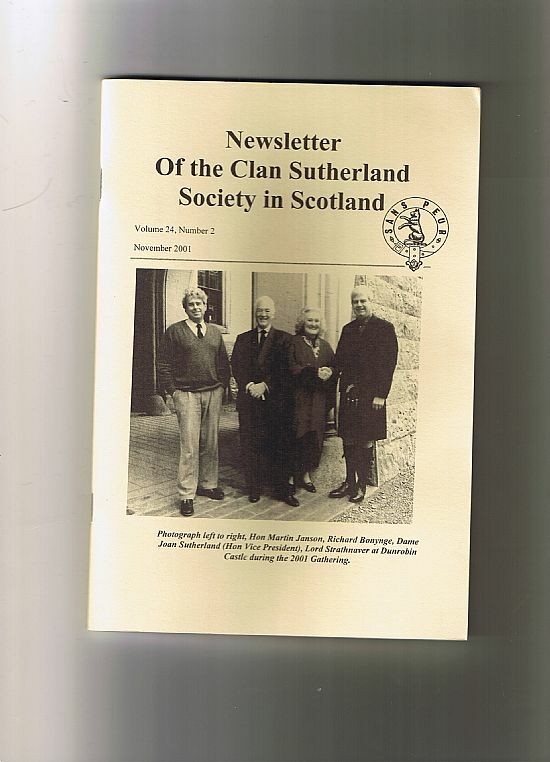 If you would like to make a donation towards the work of the Society, please use this option. You can choose to donate £5 sterling or any multiple thereof up to £100 in one click.